Little Bit, is a small short-haired adult female with a black and white tuxedo coat. Rescued as a stray, Little Bit, currently would love to find a forever family to call her very own. 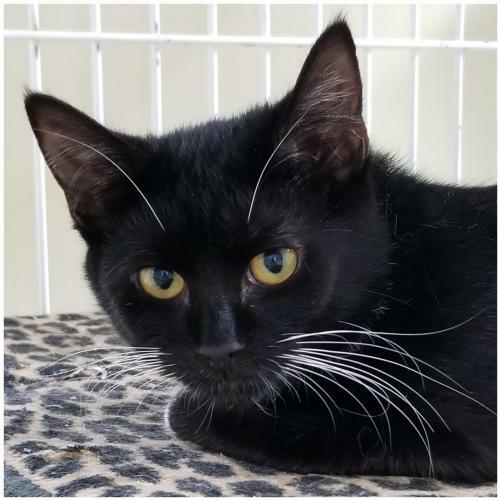 With striking green-yellow eyes and the most gorgeous whiskers, this sweet girl is extremely shy, but would love to get the chance she deserves! Fill out an online application today!